If Verlander has a shoulder injury, why was he able to talk his trainer and his manager into finishing the first inning? The competitive desire is understandable, but that decision should have been made for him immediately. - Shoulders are more difficult injuries to predict than elbows. There is usually an out with an elbow situation because of Tommy John surgery. There is no such procedure for shoulder issues, whether it is a rotator cuff or otherwise. Considering Verlander's $180 million contract extension has yet to kick in, it is an obvious concern. 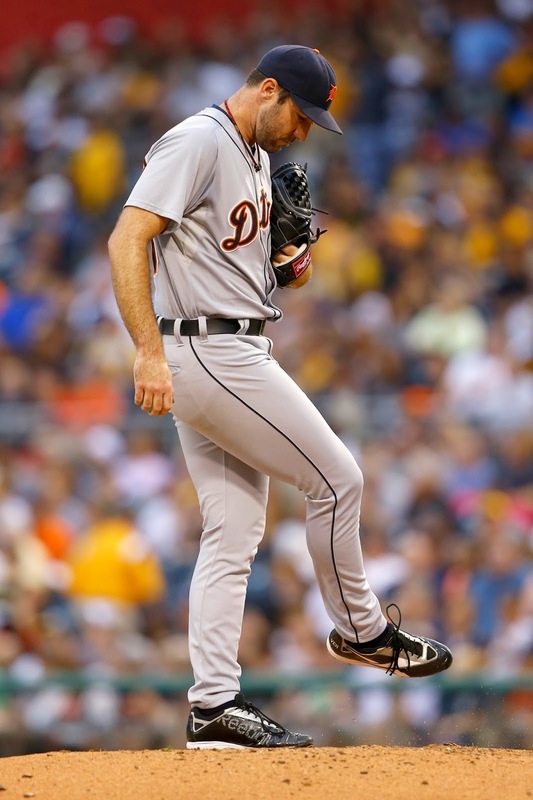 I've never had concerns about Verlander because he hasn't had a physical ailment involving his arm. This is obviously different, and the timing couldn't be worse considering the Tigers current plight. - It does make you wonder if Verlander came back too soon at full throttle from off season surgery on his core. He was way ahead of the original time table. Perhaps, it forced him to compensate in other ways.